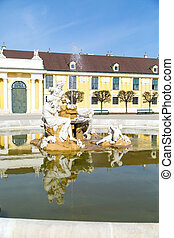 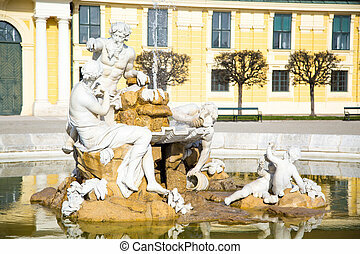 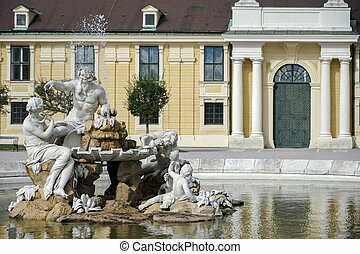 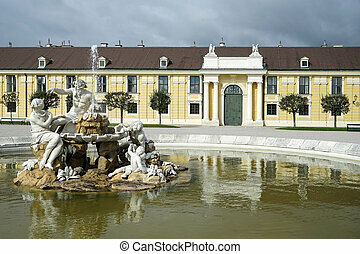 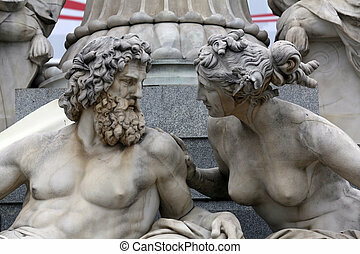 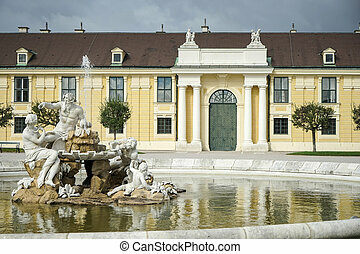 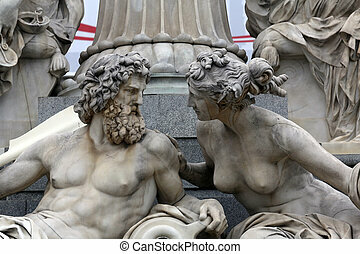 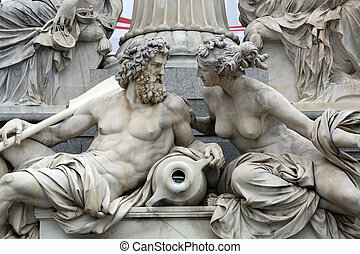 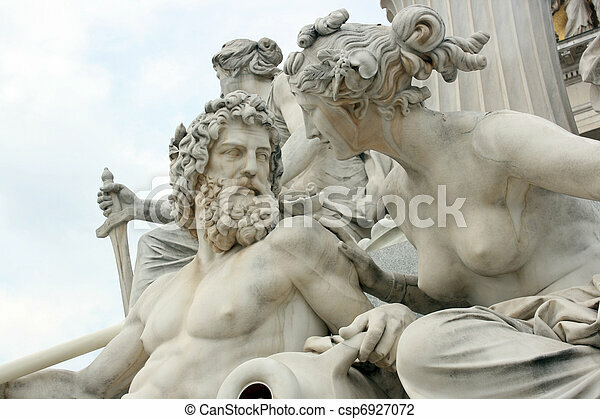 Detail of pallas-athene fountain in front of austrian parliament, vienna, austria. 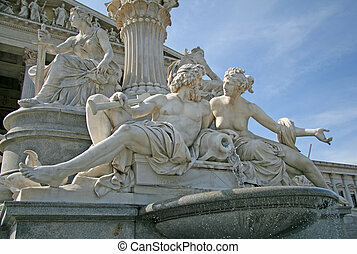 sculptures represent rivers danube and inn. 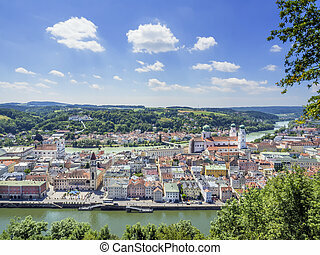 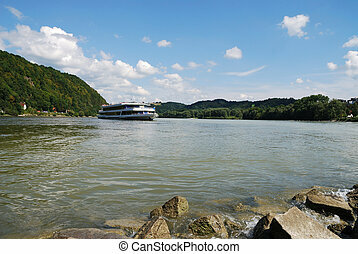 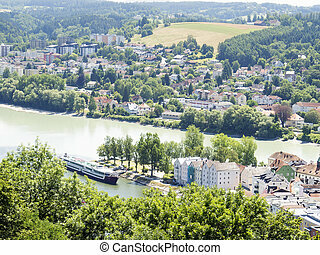 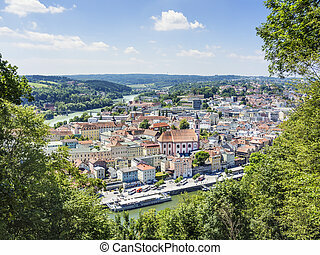 A ship in Passau (Germany, Bavaria) where the rivers Danube and Inn come together. 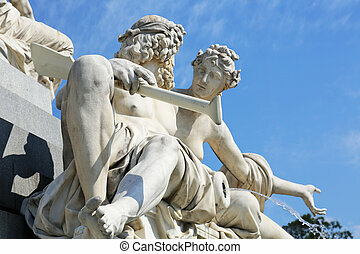 Detail of Pallas-Athene fountain in front of Austrian parliament. 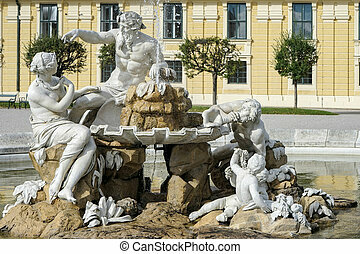 Sculptures represent rivers Danube and Inn in Vienna, Austria on October 11, 2014.